Voted the best office accessory of the decade (Best in 10) at Interior Design magazine's 2015 Best of Year Awards, the QuickStand height-adjustable workstation raises the bar for ease of use and stability among sit/stand products. QuickStand seamlessly transforms any fixed-height desk into an active one, promoting collaboration and well-being in the workplace. With weightless operation and a plug-and-play cable management system, QuickStand neatly attaches to the back of any work surface, placing the screen and keyboard in an ergonomically correct position for the user. 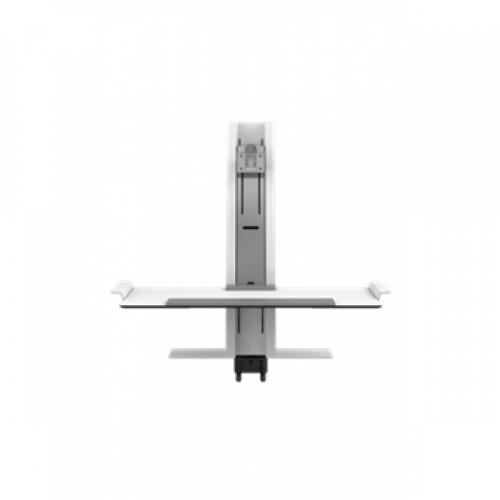 QuickStand features an innovative counterbalance mechanism that enables users with fixed-height computer desks to transition from sitting to standing positions with ease. Its effortless functionality encourages users to be active and integrate movement into their days, which is vital for health. A sleek design with a minimalist aesthetic, QuickStand seamlessly integrates cable management, mechanisms, and moving parts into its chassis. Its minimal footprint frees up space on home office furniture, traditional work surfaces, temporary hot desks and collaborative workstations, allowing QuickStand to fit into any work setting. The QuickStand workstation is robustly designed to ensure the keyboard platform remains stable with no bouncing when the user types. 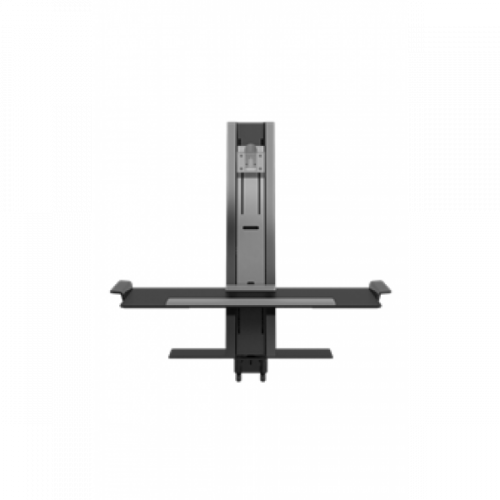 Available in a number of configurations including dual monitor setups, QuickStand is the perfect co-worker for any space. Created by the Humanscale Design Studio to encourage a more engaged and active workspace, QuickStand is the essential work tool to incorporate into an existing setting. Its ability to transform existing desks into sit/stand workstations was intended to make healthy movement an easy adaptation for any workplace and sit/stand solutions accessible to everyone. I have been looking into getting an ergonomically friendly desk for a while, but the price was always an issue. The price here was fantastic, the product is outstanding, and the shipping was really fast. It has really helped me with my back issues. The all new ActiveErgo Anti-Fatigue Mat 24x36, Black, is one of the nation's highest customer rated ..